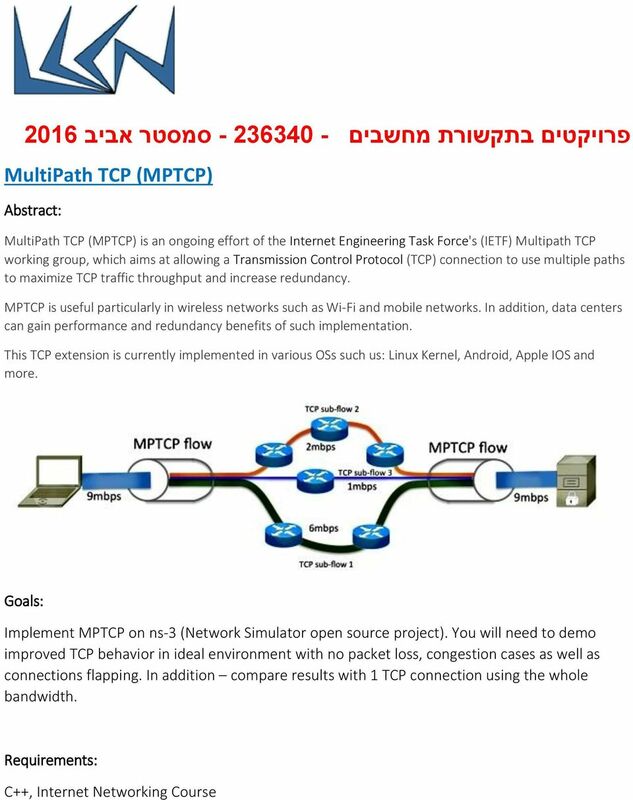 3 Restorable Logical Topology using Cross-Layer Optimization Today s communication networks consist of routers and optical switches in a logical topology overlaid on an optical physical infrastructure. 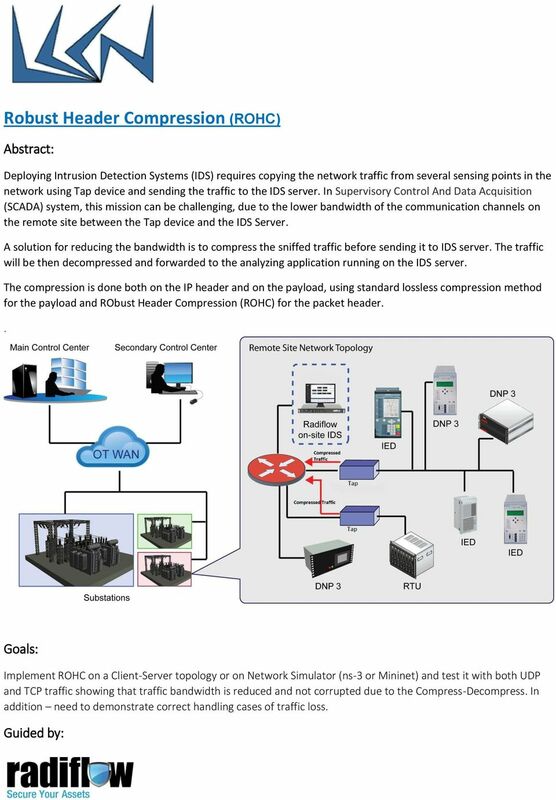 The routers are connected to each other via logical links called LightPaths, where each LightPath is established over one or more optical fibers and optical switches connecting these fibers. 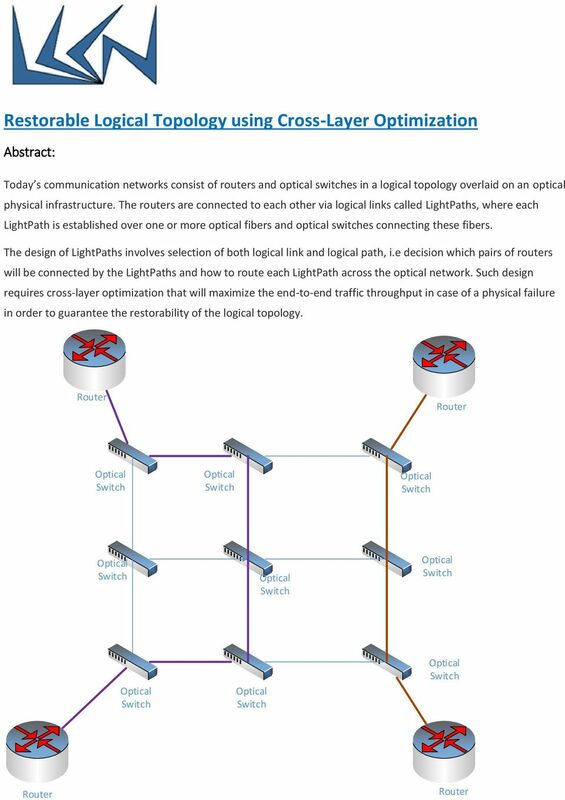 The design of LightPaths involves selection of both logical link and logical path, i.e decision which pairs of routers will be connected by the LightPaths and how to route each LightPath across the optical network. 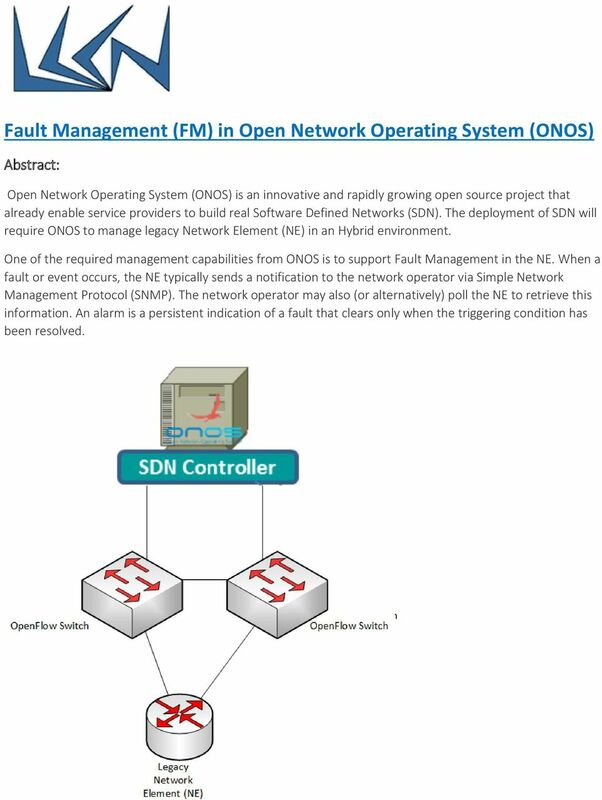 Such design requires cross-layer optimization that will maximize the end-to-end traffic throughput in case of a physical failure in order to guarantee the restorability of the logical topology. 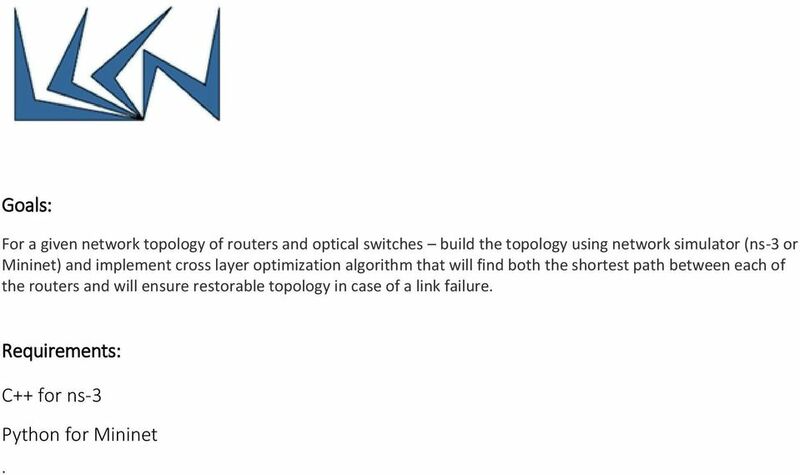 4 Goals: For a given network topology of routers and optical switches build the topology using network simulator (ns-3 or Mininet) and implement cross layer optimization algorithm that will find both the shortest path between each of the routers and will ensure restorable topology in case of a link failure. Requirements: C++ for ns-3 Python for Mininet. NetAcquire Server 8 New Products and New Features May, 2015 1. Includes all NetAcquire 7.6 and earlier enhancements 2. Runs on a new real-time operating system: NetAcquire Deterministic Linux (NDL) a.
TCP Labs. WACREN Network Monitoring and Measurement Workshop Antoine Delvaux a.delvaux@man.poznan.pl perfsonar developer 30.09.